One of the most precise and widespread Bible dictionaries. 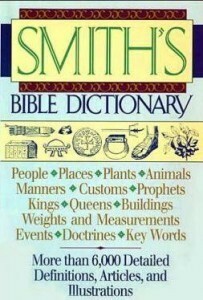 Smith’s Bible Dictionary have some few illustrations and is the autorathive Bible Dictionary. thanks a lot for all downloads. May the Lord reward you for all these good works. THANKS! Thanks a lot. Love you for this. I loved the Bible to read. Thank you and bless you for sharing! I will pay it forward. Thanks God bless you for the good work.